A crowdfunding campaign has been launched for a x5-Z8350, 2GB RAM, 16GB flash board called ATOMIC Pi. 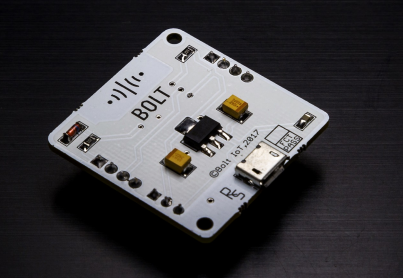 The IoT board Atomic Pi starts for just $34 plus shipping or $49 with a breakout shield on Kickstarter. 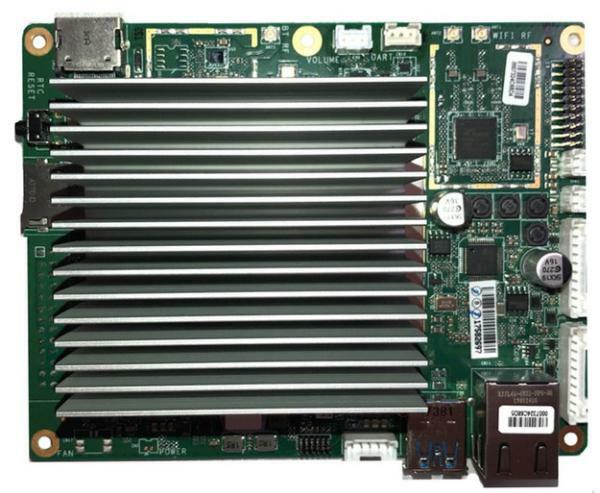 The x86 price is on the low side, compared to Aaeon’s $99 UP board or the DFRobot’s $119 LattePanda SBC, which have the same Intel Atom x5-Z8350 “Cherry Trail” SoC. The Atomic Pi is not open source, and there are no community features available, offered by its other Cherry Trail rivals. The datasheet and a quick start guide will be available on AtomicPi.org, which redirect us to the Digital Loggers website. The Atomic Pi has a bit of limited feature set. It is ridiculously cheap, considering the fact that it’s a quad-core, 1.91GHz Atom board. It comes with a pre-installed Kubuntu distro based on Linux 4.15, and shipping is scheduled for the end of January. The board will come pre-loaded with Linux, but it also supports Windows 10 64-bit. 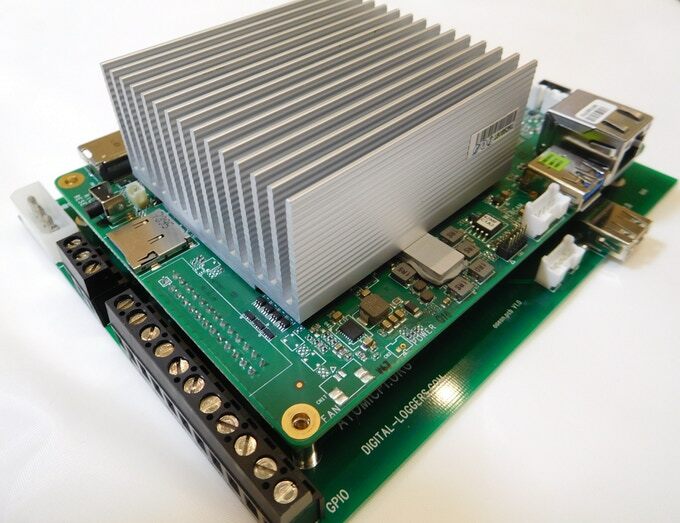 The 130x100mm Atomic Pi has a 50mm height as a result of the heatsink. It also offers 2GB DDR3L, 16GB eMMC, and a microSD slot. For communication, GbE, WiFi-ac, and Bluetooth 4.0 are available. An HD-only HDMI port with an audio output is available for display. The Atomic Pi offers USB 2.0 host and Micro-USB 3.0 OTG ports. The 5V board is equipped with a 9-axis IMU and a serial debug interface. It also has a 26-pin GPIO and power connector, which extends through the optional breakout board that attaches to the bottom of the Atomic Pi. This enables screw terminals, a 12V header, and a prototyping area. If you live outside of the US, they won’t ship to you. The only option available is to go with a US forwarder. AAEON, the UP board maker, is one of their manufacturing partners as well as Qualtech Circuits, and PCWay. The project is more than halfway toward its modest $3,500 funding goal, and we hope to see a good use of this cost-friendly board pretty soon.